Share the post "Tool Guide: Get Quality Leads Without Spending A Single Penny!" There are number of innovative strategies which marketers keep on using to get traffic on their company’s website, which can further be used as an educated lead. For implementing these strategies, there is a defined budget allocated by every company to marketers. So, is it possible to make your website visible without investing a single penny? A kind of tool which can guide, define, analyze, plan and decide about right set of keywords for your website. Best suited keywords which can bring your website in top results of search engines. To fetch and analyze right set of title tags, meta descriptions, categories etc. To keep a check on content privacy of your website. To analyze website’s indexing, which can further help in optimizing the same in the most fruitful manner. Single tool which can help in auditing, reviewing and analyzing website performances. How about if you can find each of the above essential in your inbox? 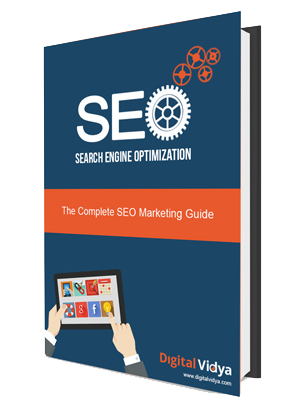 All you have to do is to fill in a single form available on this page and get a guide of Top 20 Search Engine Optimization Tools in your inbox. Invest a couple of minutes and get an aggregated tool guide, which can be a great help for strategy creation of your company.